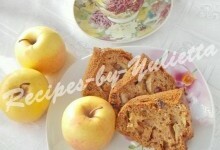 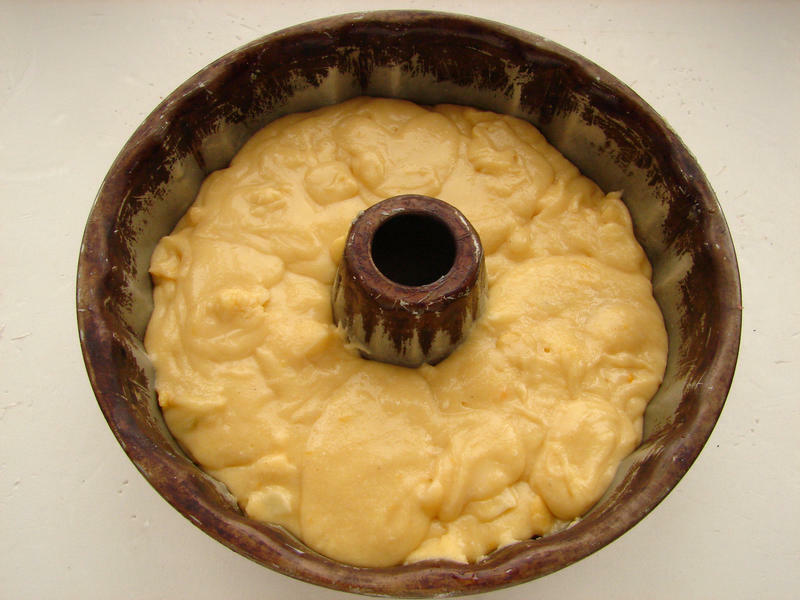 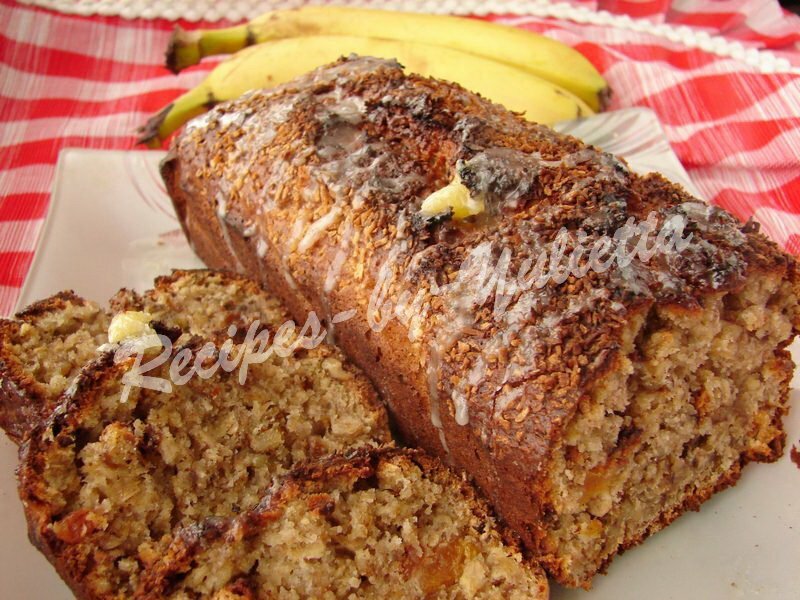 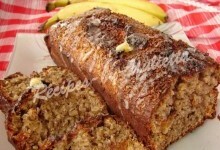 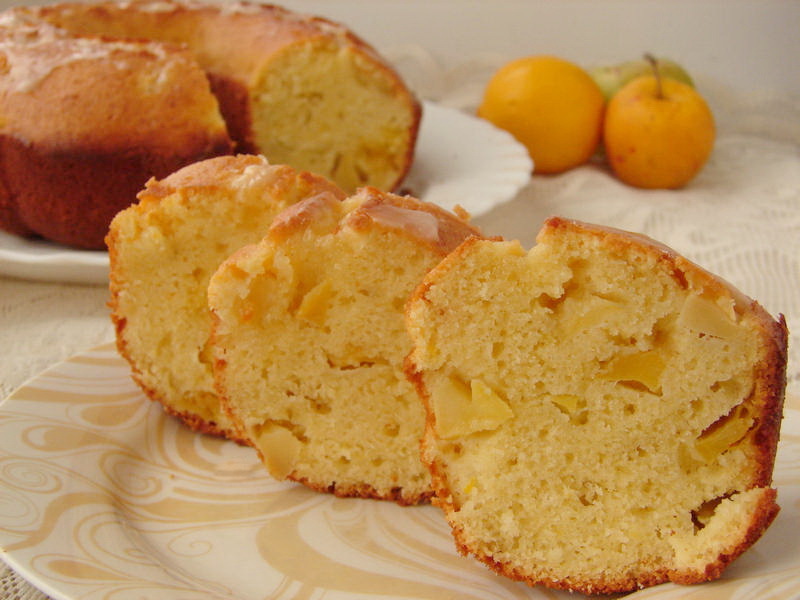 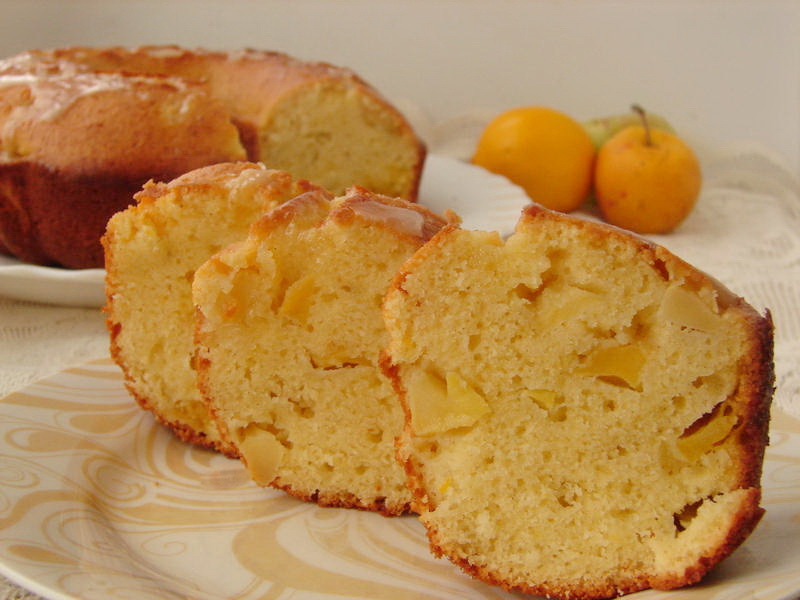 Let's bake this delicious apple lemon cake with lemon zest and pieces of apples! 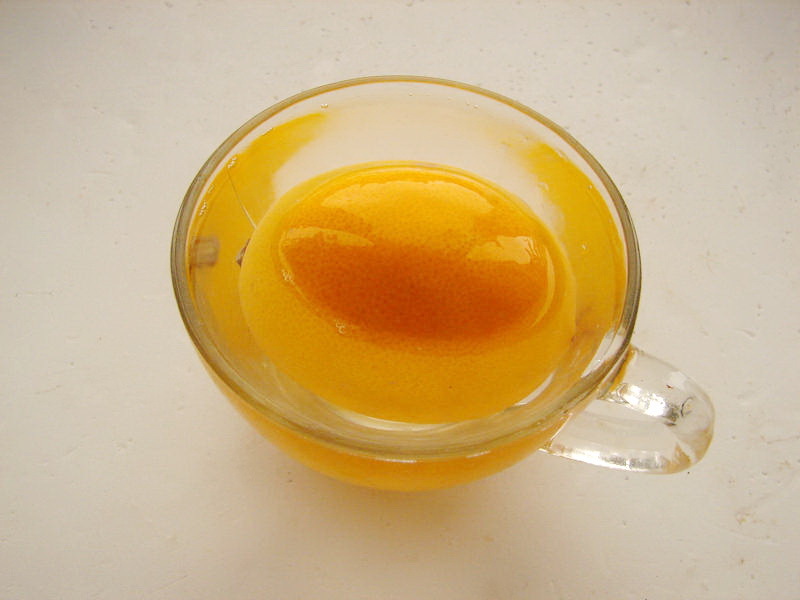 Pour the lemon with boiling water and left for 5 minutes. 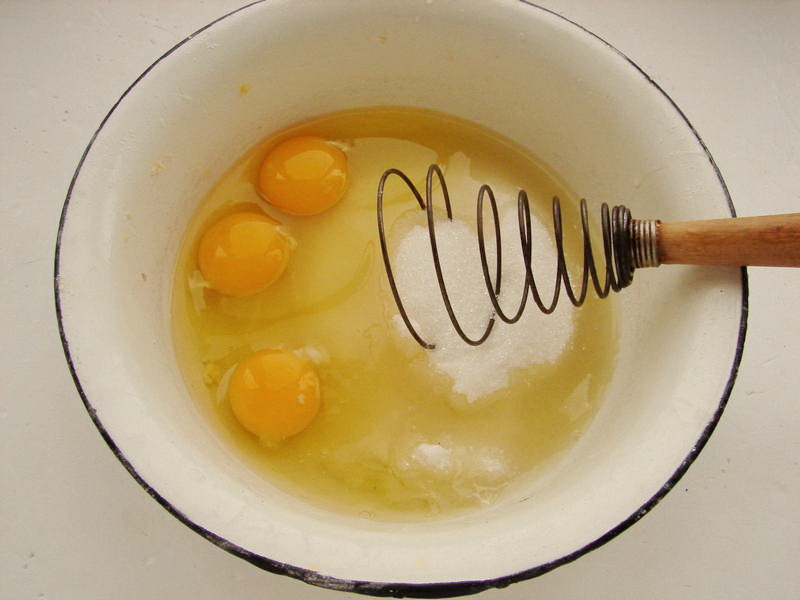 Whisk eggs with sugar a little. 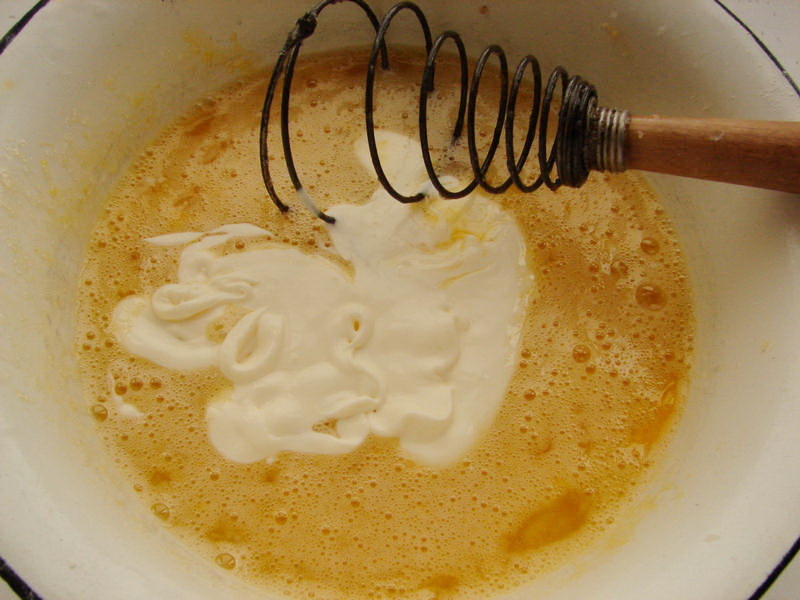 Add melted butter (it must be not hot) and sour cream. 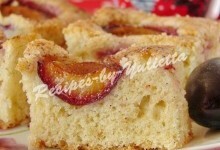 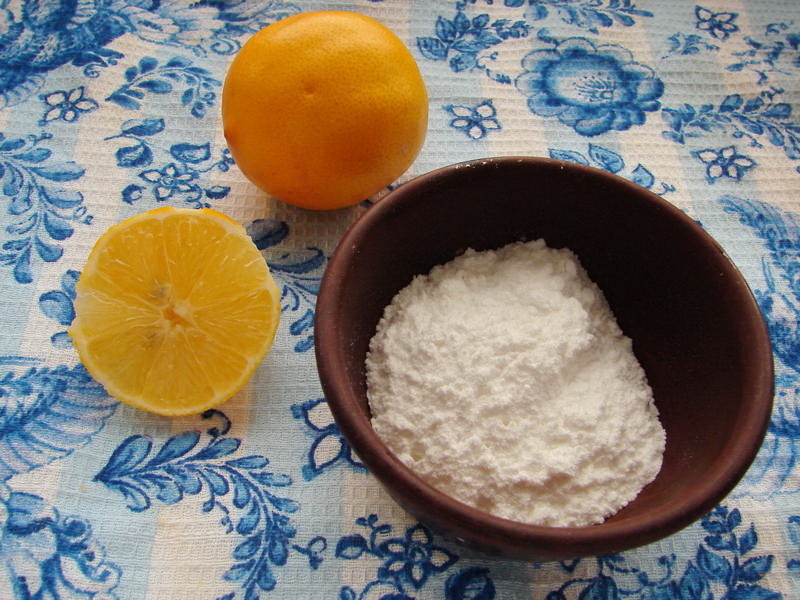 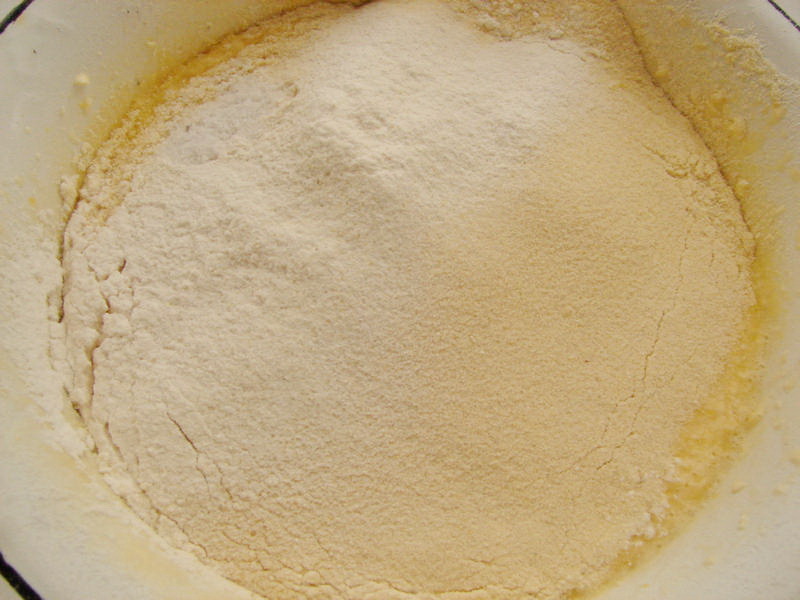 Mix and sift the flour with soda and baking powder. 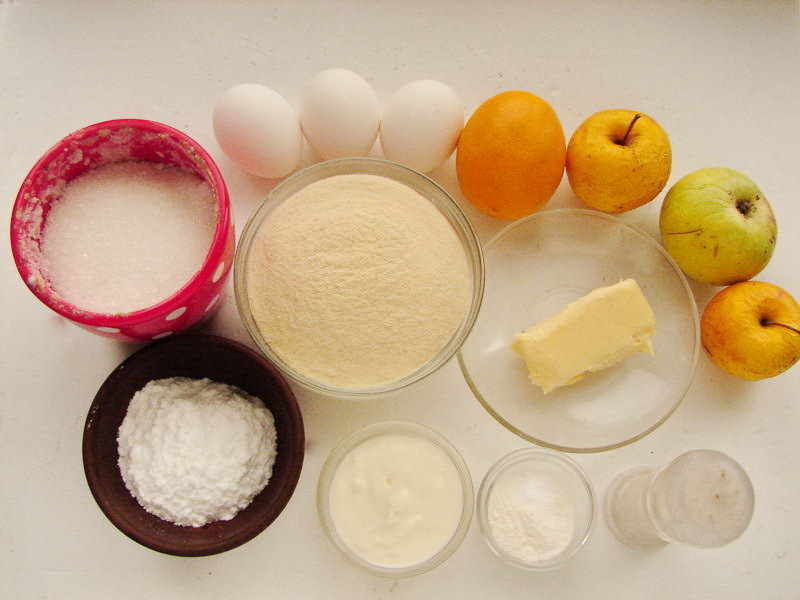 Add salt and mix again. 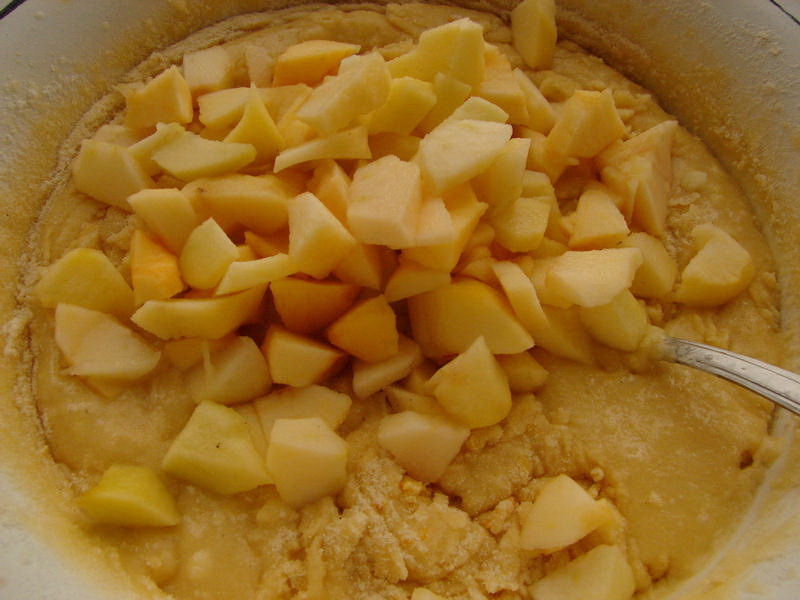 Then add peeled, cored and cubed apples. 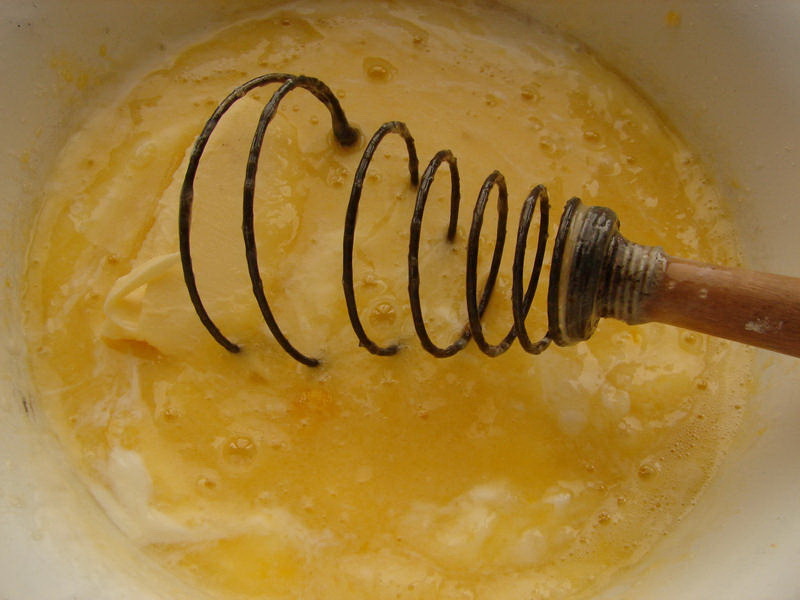 Mix all and pour into an oiled form. 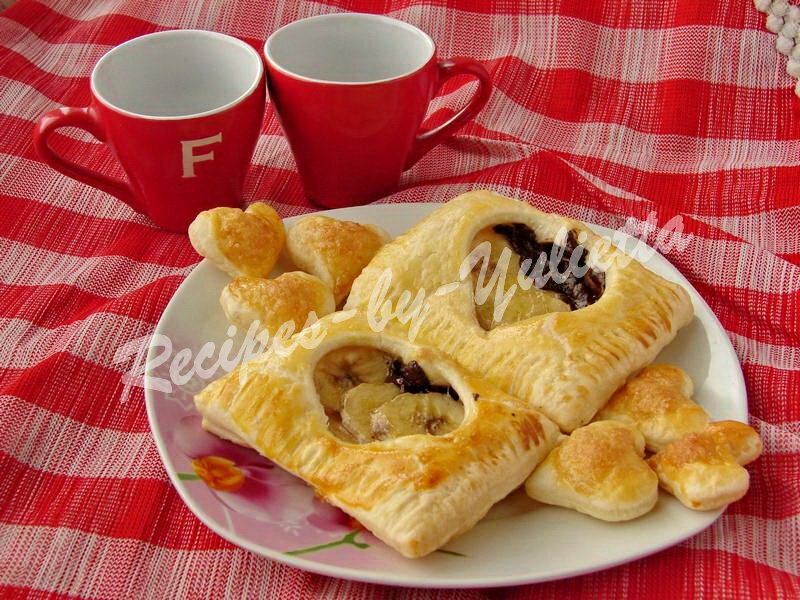 Put into the oven preheated to 180 C (356 F) and bake during 45 minutes or to the dry stick. 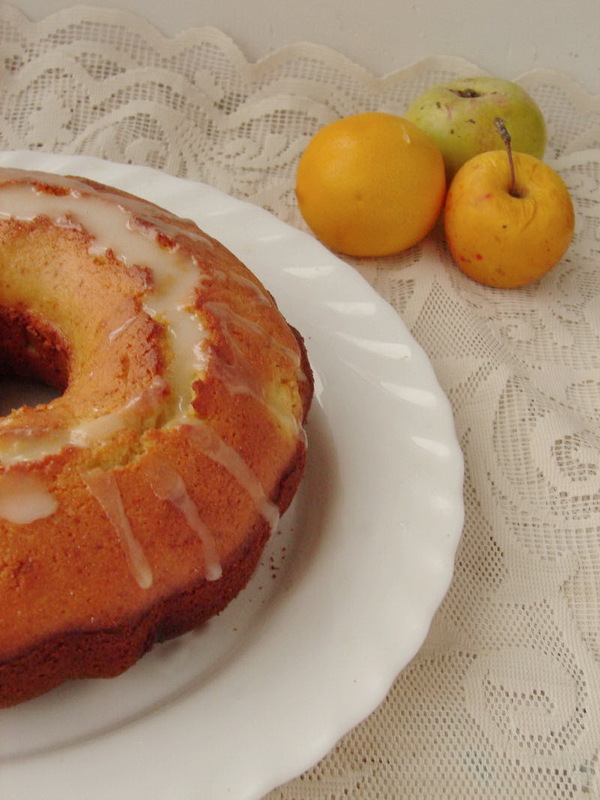 Put the apple lemon cake on a dish and let it cool a little. 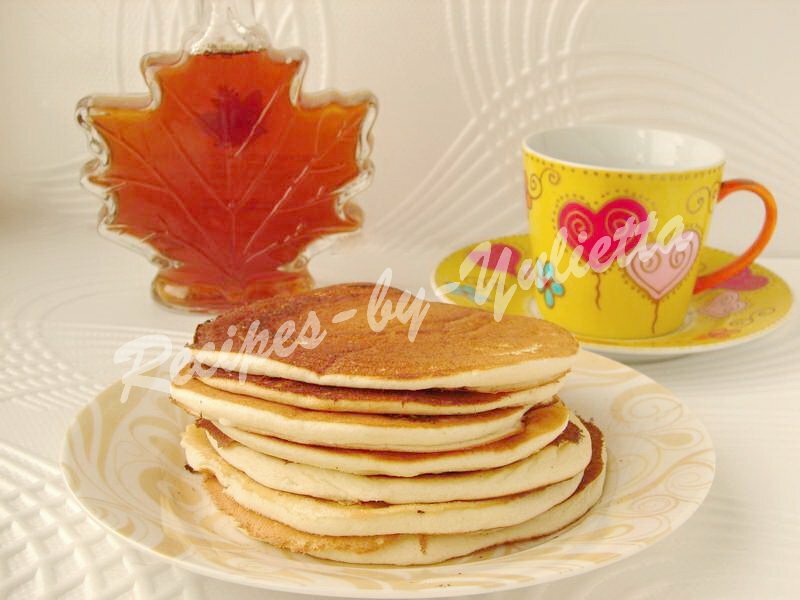 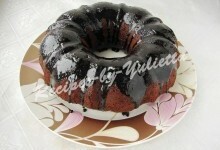 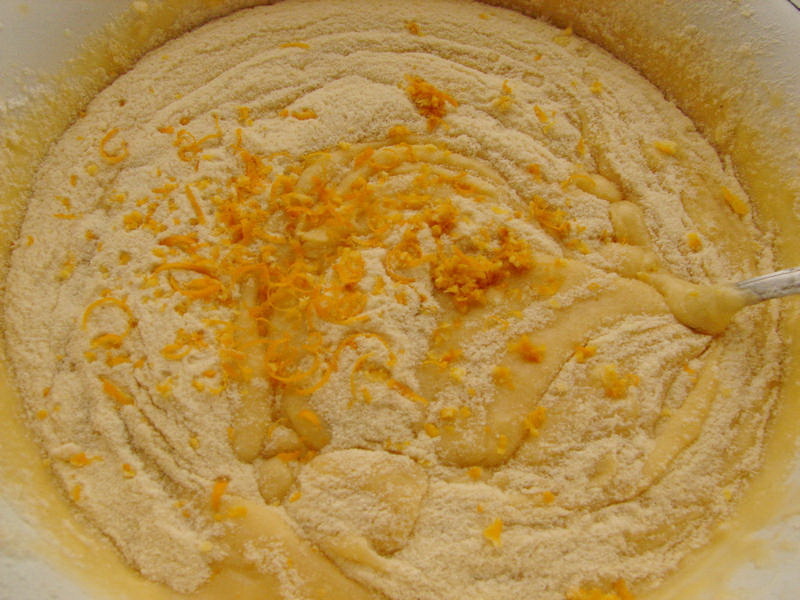 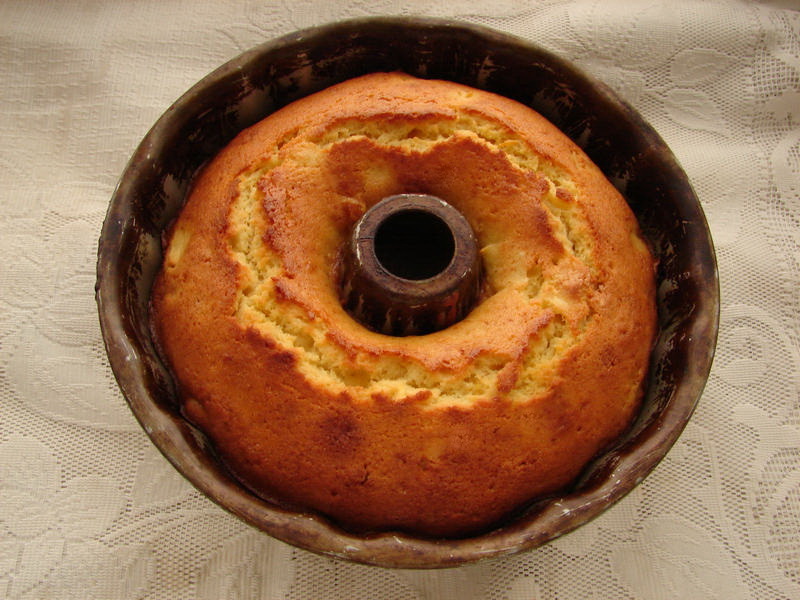 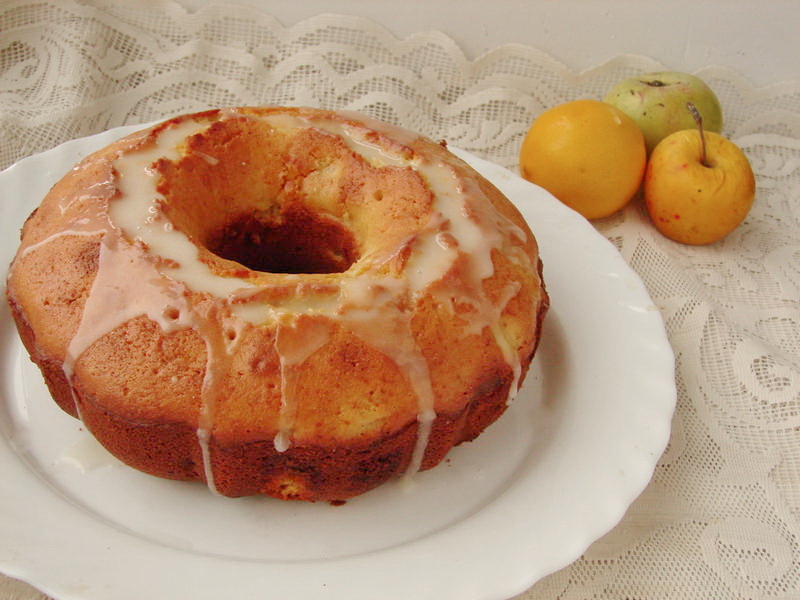 Mix sugar powder with 1-2 tablespoon of lemon juice and pour the cake with this lemon glaze. 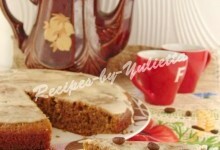 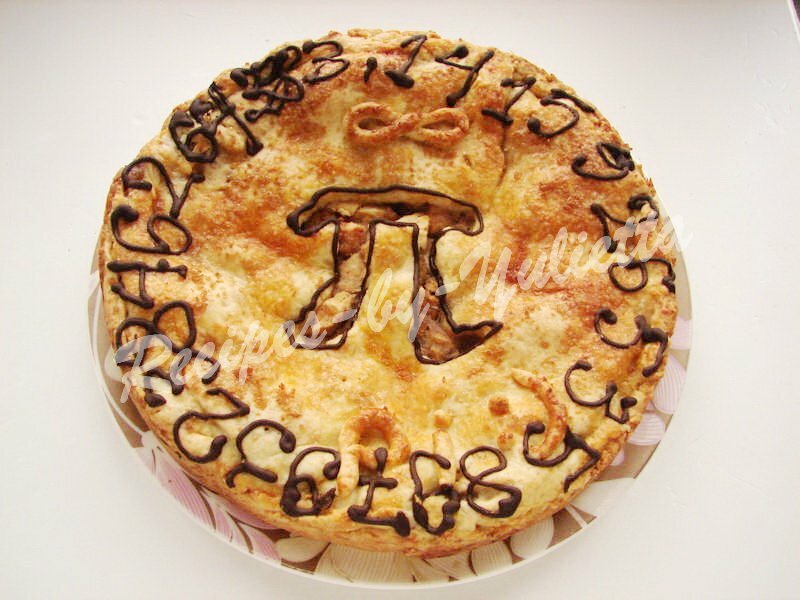 Slice the cake into pieces and enjoy it with tea!